Glassolutions, glass and glazing systems specialists, hired the Hinowa 17.75 Lightlift tracked spider lifts to install glazing panels on the façade of Project Angel, which will provide shared workspace for 2,000 public sector employees, including staff of Northamptonshire County Council. Ryan Crawford, Glassolutions Site Manager, said: “The spider lifts were ideal as their rubber tracks and spreader pads ensured that they did not damage the external granite paving. 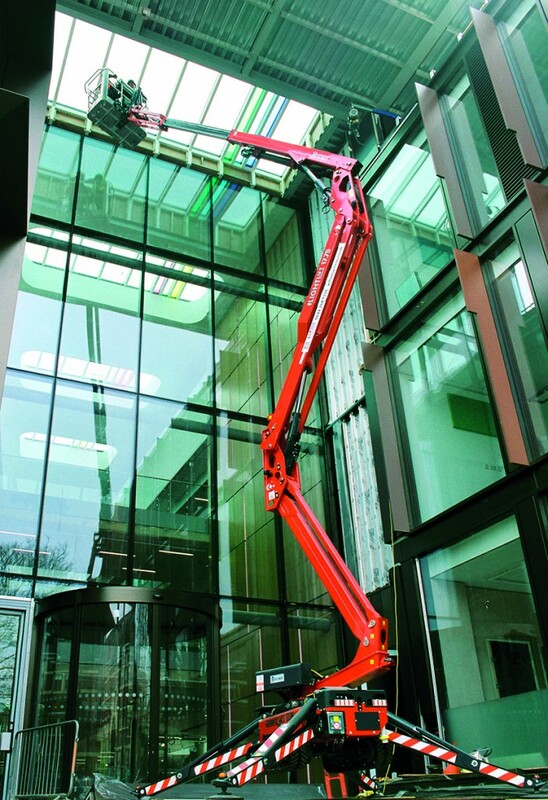 The Wilson Access Hinowa 17.75 Lightlift is a lightweight, compact and versatile spider lift. 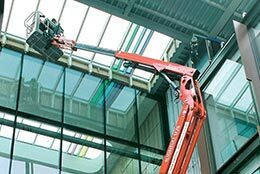 It has a working height of 17.06m, a horizontal outreach of 7.5m and its bi-energy operation makes it ideal for both indoor or outdoor use.